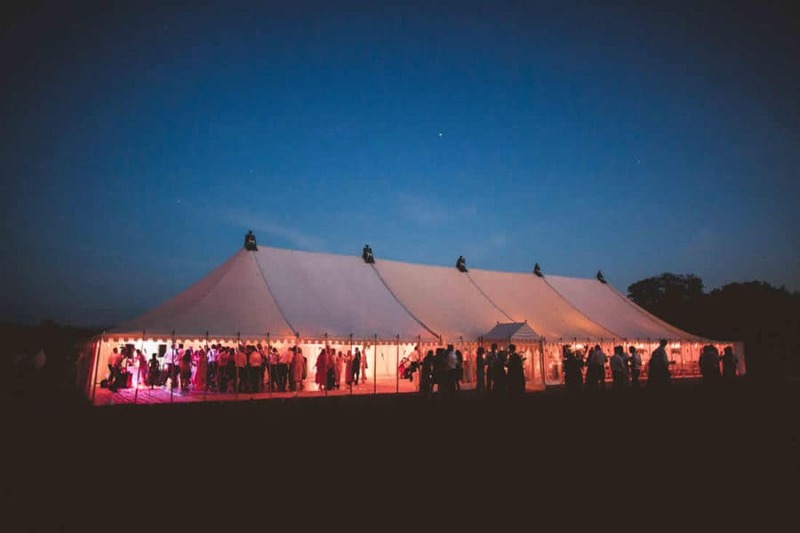 Our elegant traditional canvas marquees have a very high ridge line with central poles and dramatic sloping roofs. The outside valance is often decorated with piped castellations or scallops. 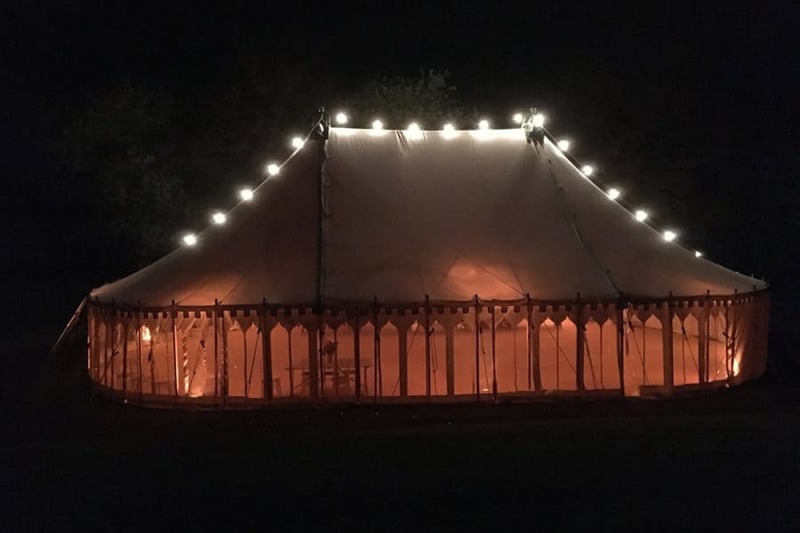 Canvas is a 100% natural material which can breathe so does not suffer from condensation in the cold and has a nice cool atmosphere on a hot summer day. The outside of the tent will have white guy ropes, neatly tied off, with matching green guy blocks and dollies on the side poles. 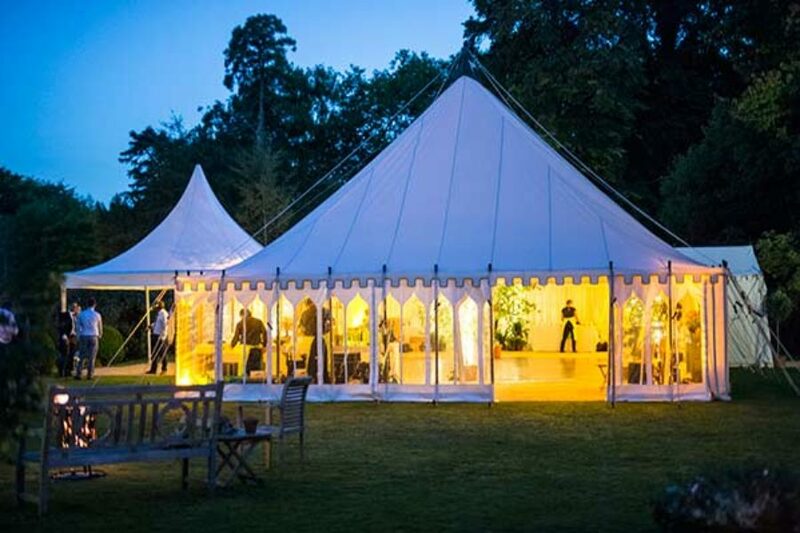 We know that this rare attention to detail makes all the difference when you hire a marquee. 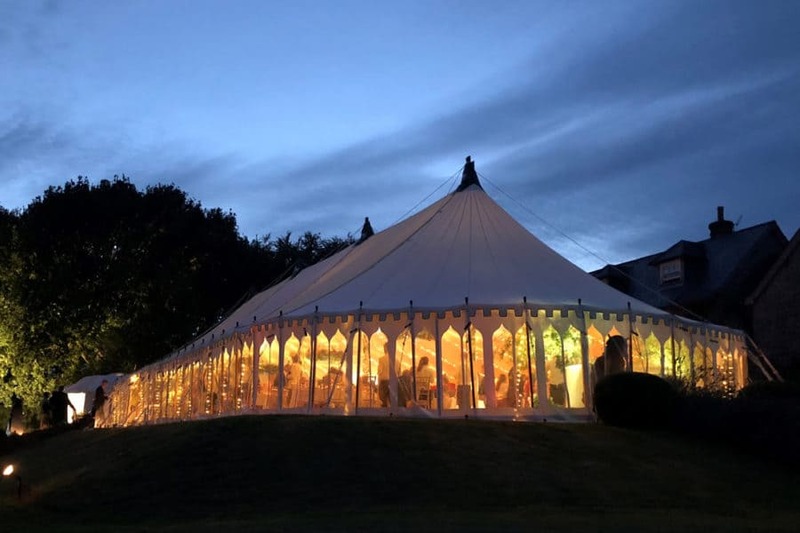 NEW FOR 2018 – WE HAVE A 40′ DIAMETER ROUND MARQUEE WHICH CAN ALSO MAKE ROUND ENDS FOR LARGER MARQUEES. 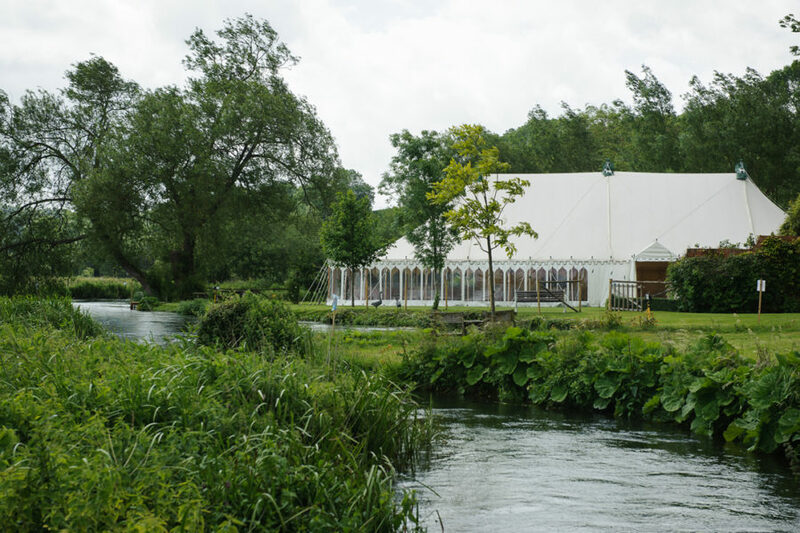 To give you some idea of the range of our equipment, the largest traditional marquee we annually provide is for a lunch for 700 and the smallest would be more suitable for a dinner party for 30-40 guests. 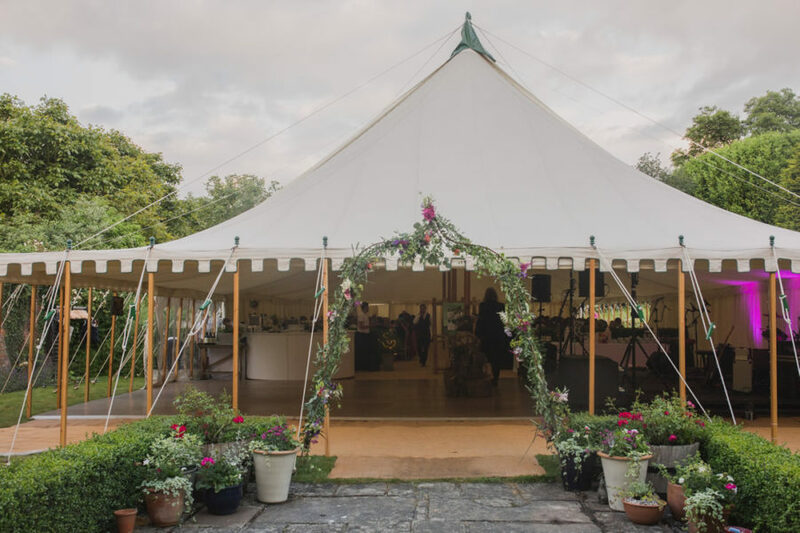 The marquees can be lined with flat ivory roofs which provide the perfect blank canvas for your flowers and decorations. The walls can be lined or left unlined displaying the varnished wooden side poles for a more shabby chic look. 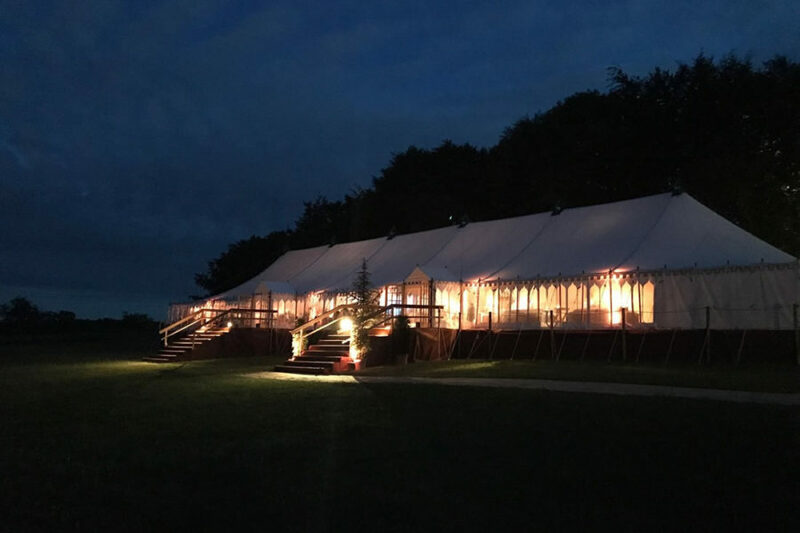 For no extra charge, we have a selection of window wall, allowing for a large window down to smaller windows, available in a large range of designs.